* All photos shown below are actual cases by Dr. Yu, and are unedited. 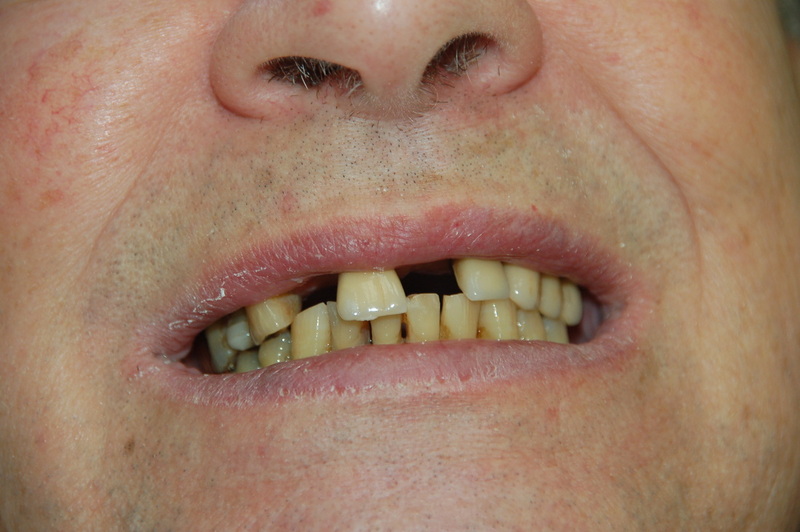 Mr. E could not get used to wearing his upper partial denture. 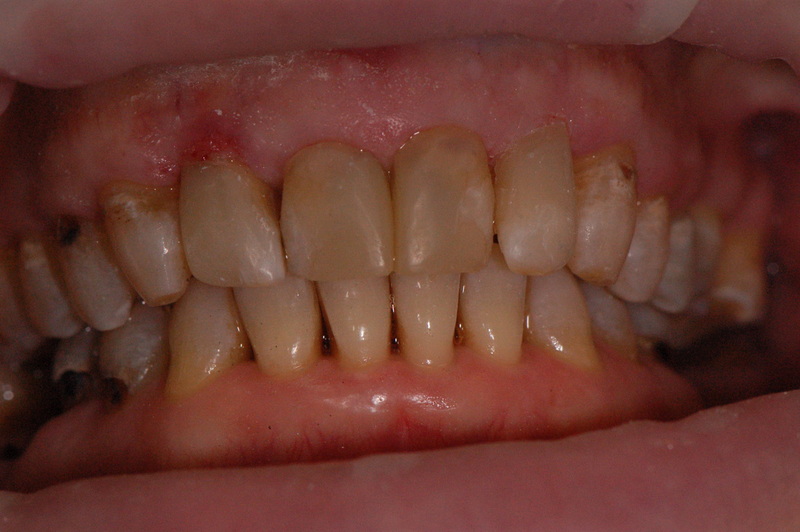 2 implant-supported crowns replaced the missing teeth. Miss P was unhappy with her discoloured white fillings. 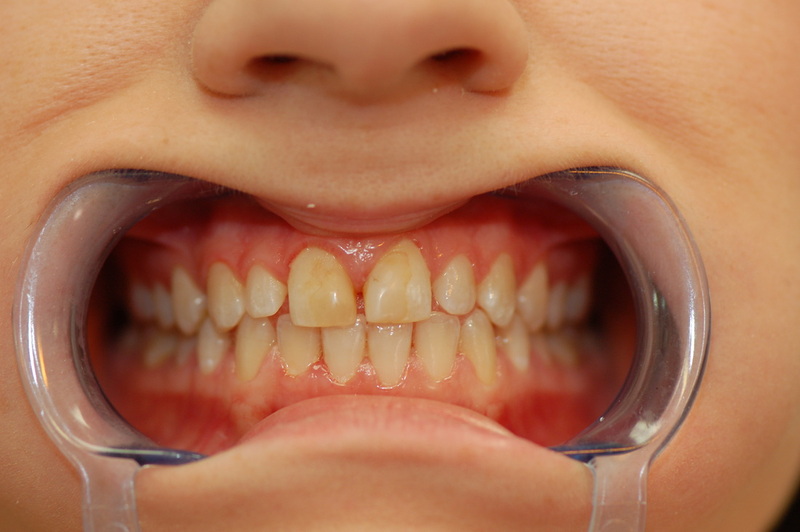 4 feldspathic porcelain veneers were placed. It required minimal cutting of tooth structure. 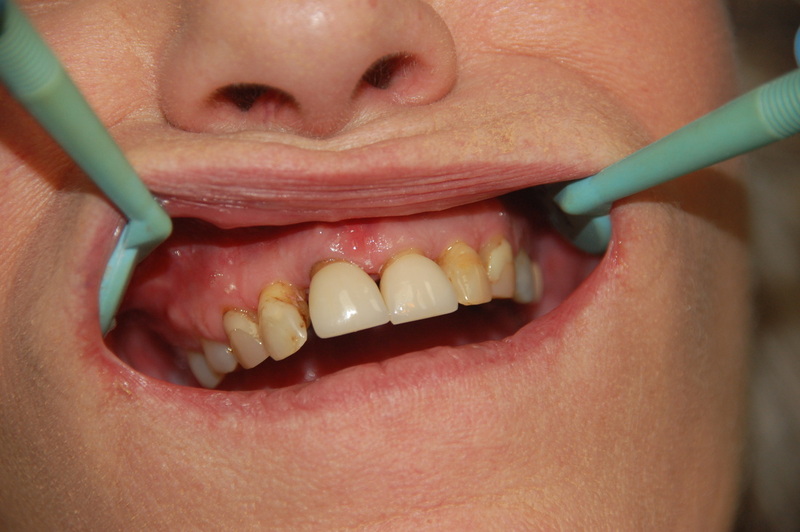 Mrs. W wanted a more esthetic smile, but she had generalized bone loss. A cost-effective solution involved placing composite bonding on 2 of her side teeth to close the space and brighten the colour of her teeth. to remove the underlying root decay. Miss E was not happy with the stained fillings between her 2 front teeth, and her teeth were short. 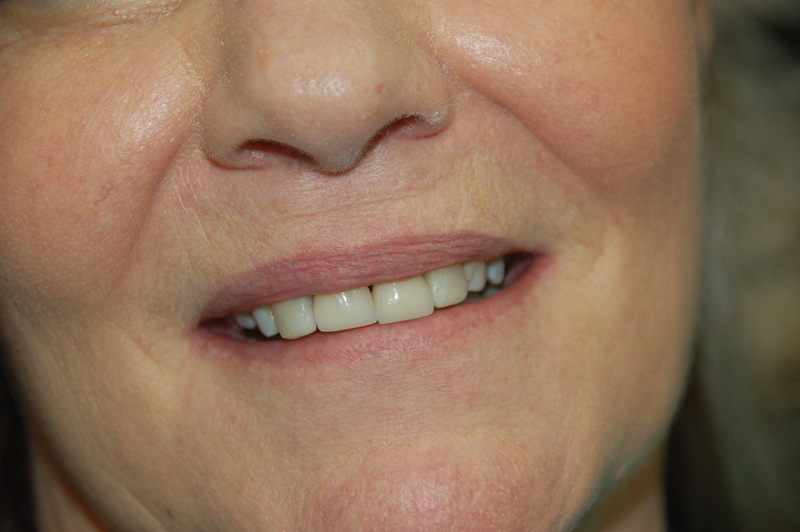 A complete smile-makeover was accomplished with 10 porcelain Empress veneers and laser gum-recontouring. Mrs. G wanted a brighter and straighter smile. 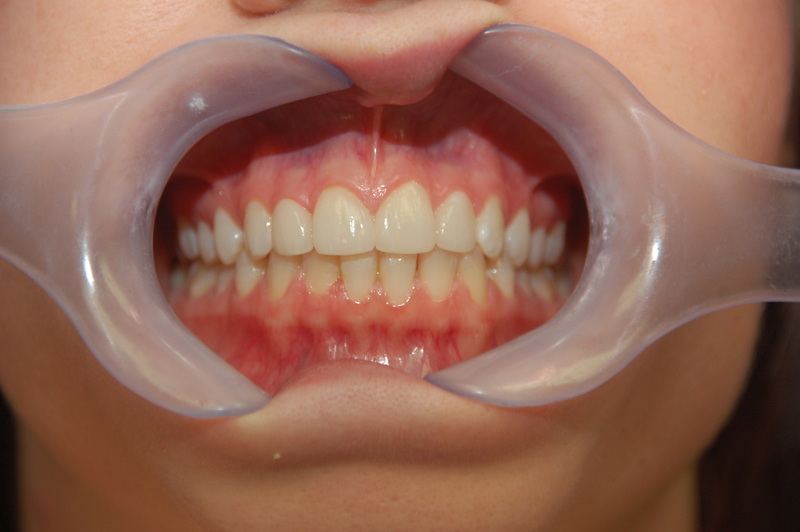 A complete smile enhancement was achieved with 6 E-max veneers (0.5mm preparation) and 4 Lumineers (no cutting of teeth). 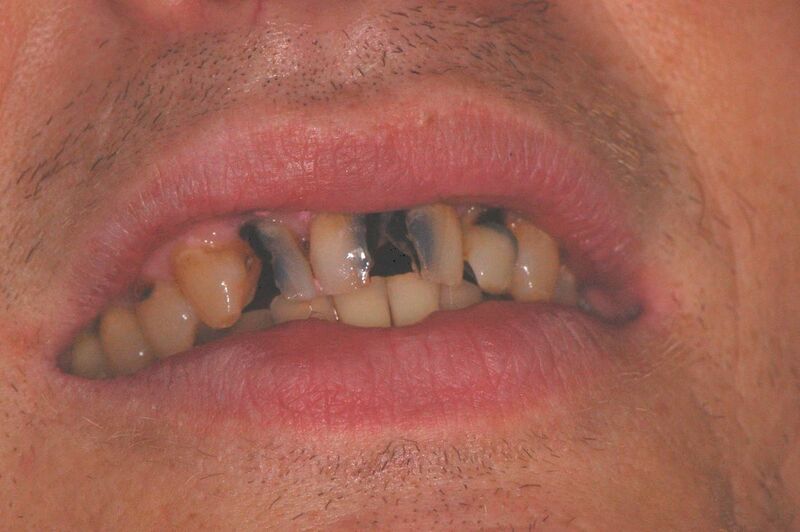 Mr. C had lost a tooth and chipped several front teeth after an unfortunate hockey accident. 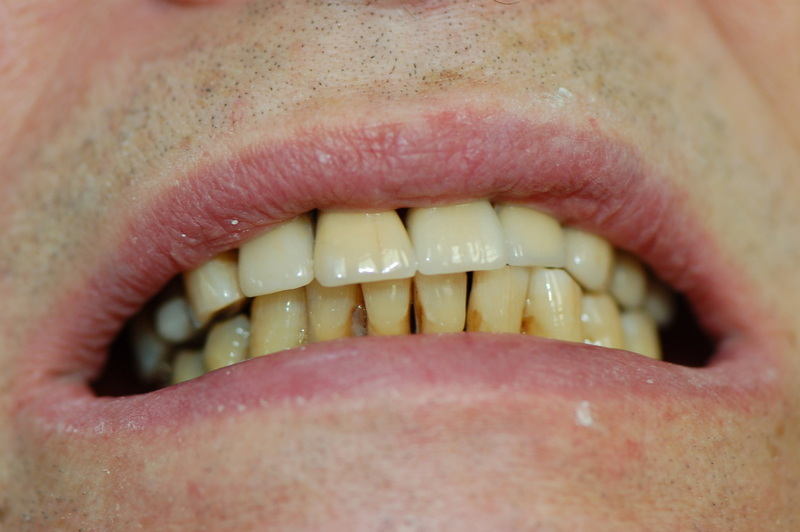 He was able to smile again after placement of 1 implant, 2 E-max porcelain crowns, and 1 E-max veneer. The side teeth were also lengthened using laser gum -recontouring.